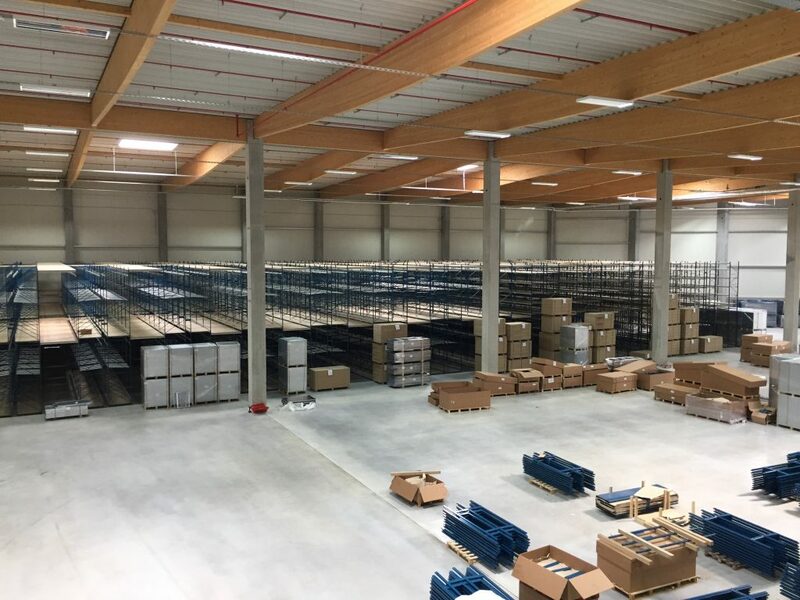 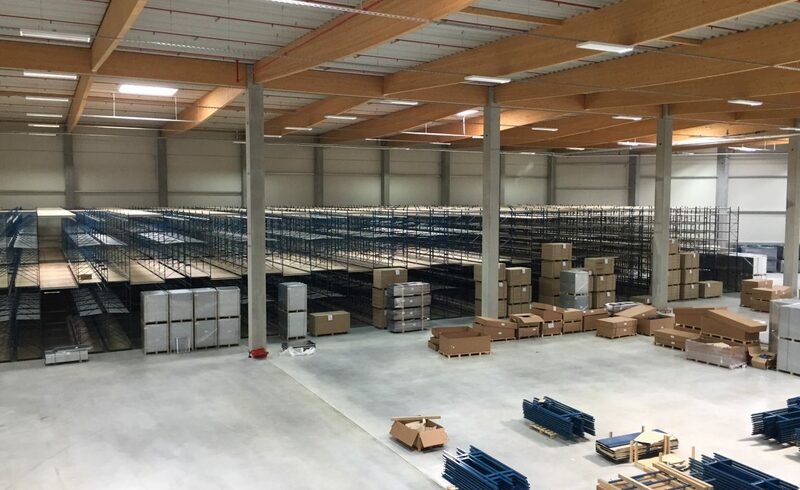 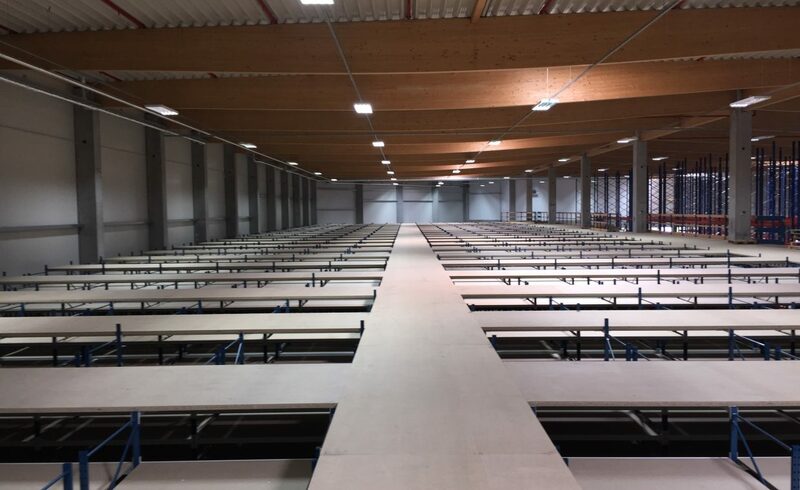 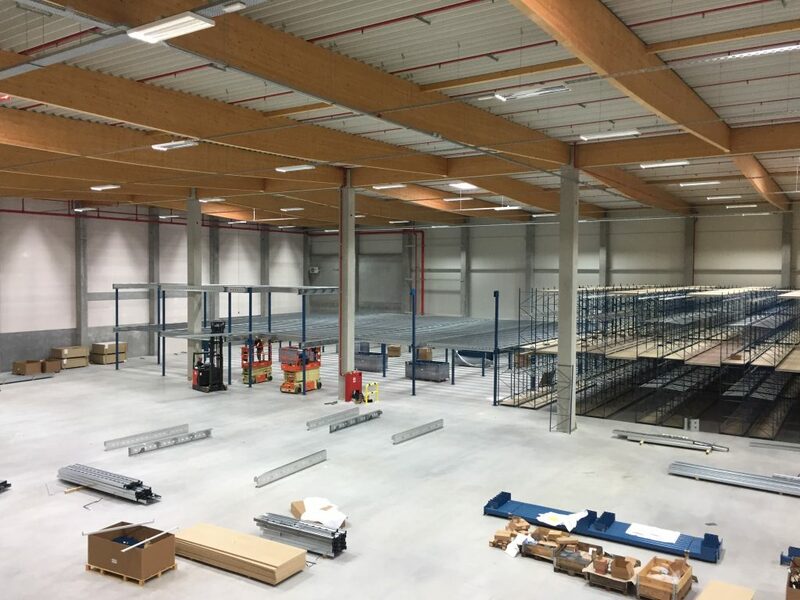 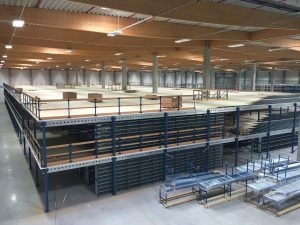 A few months ago, we placed an article about the complete setup of a warehouse of a car parts wholesaler in Weiterstadt, Germany. 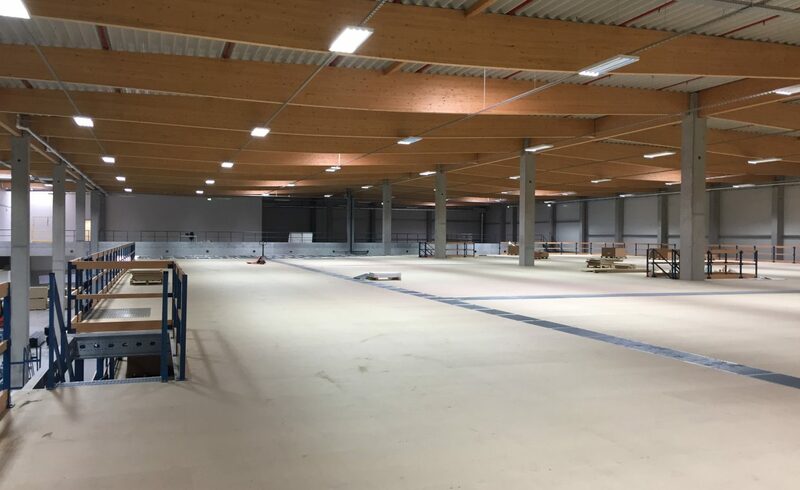 Due to the size of this establishment, this project is still ongoing. 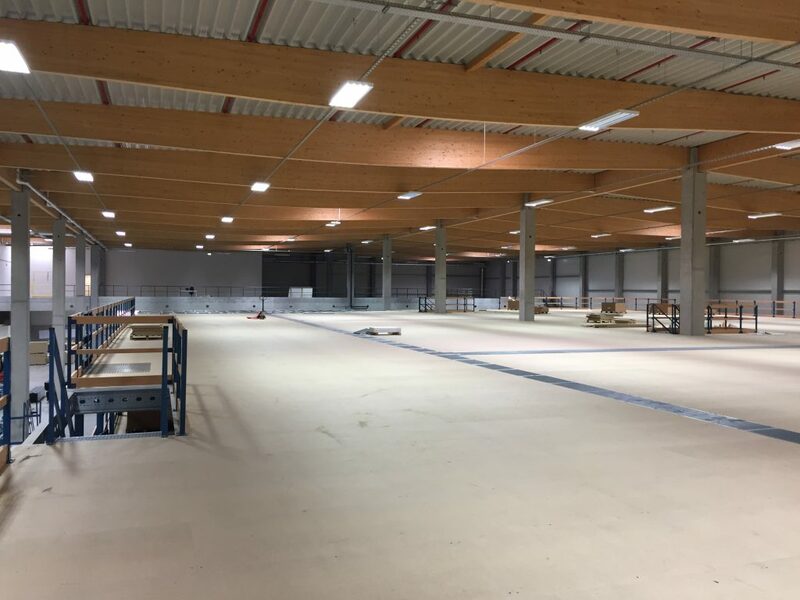 Here’s an update about the latest progress. 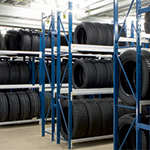 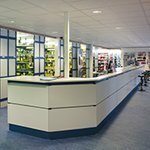 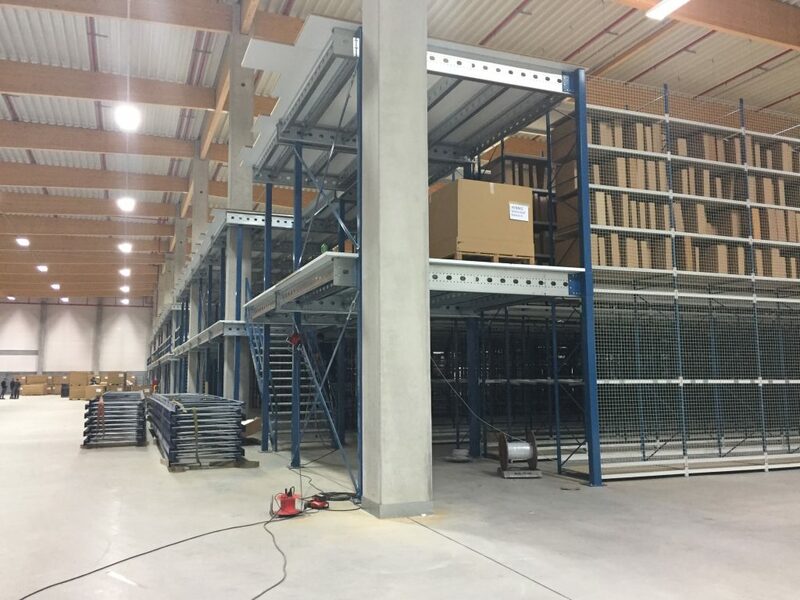 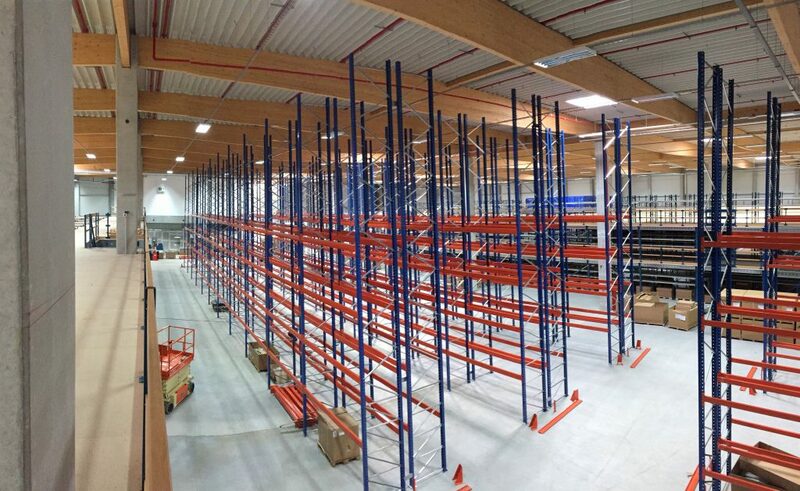 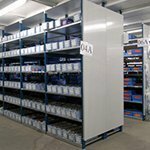 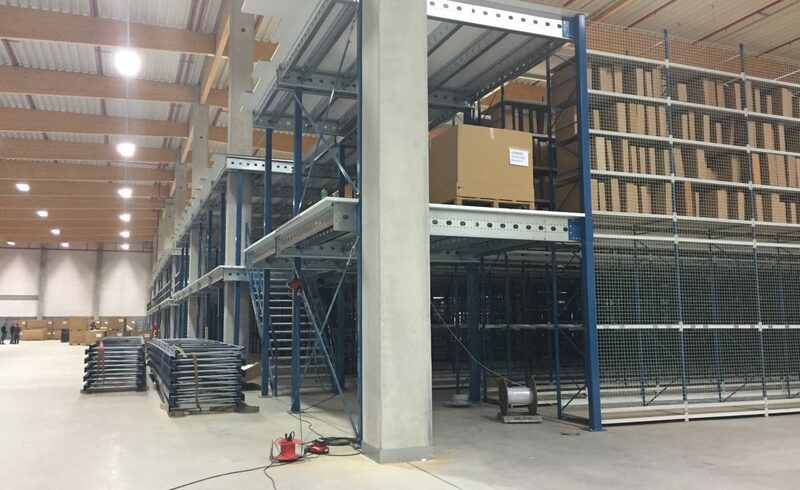 In our previous article, the first meters of multisystem shelving and tube-50 longspan shelving were being built. 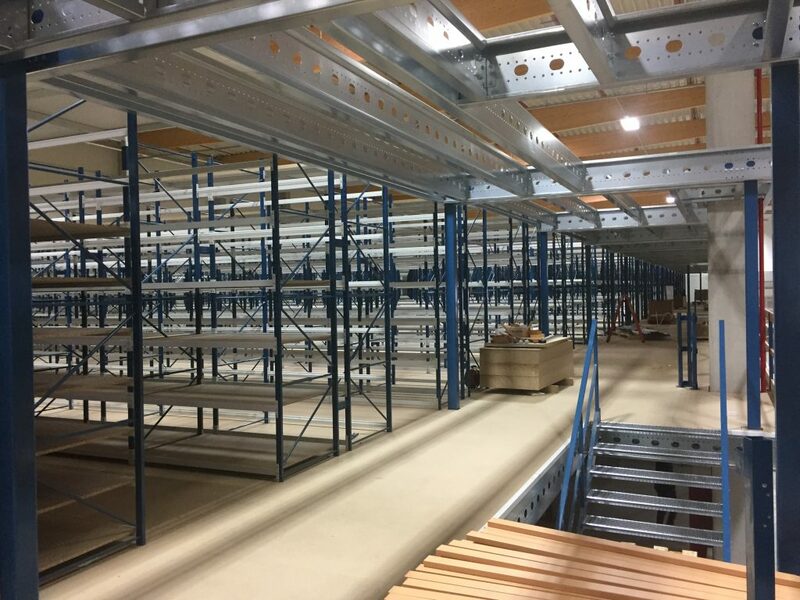 The multisystem shelves and tube-50 shelves with our mezzanine floor system on top, are nearing completion in this phase . 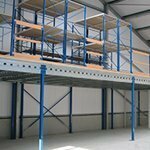 The Mezzanine floor systems are also finished with the corresponding railings, stairs and grids. 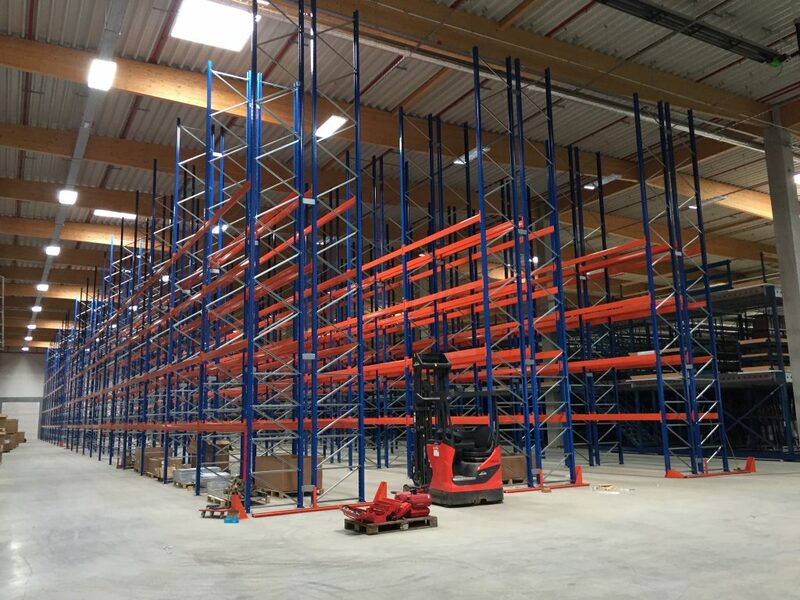 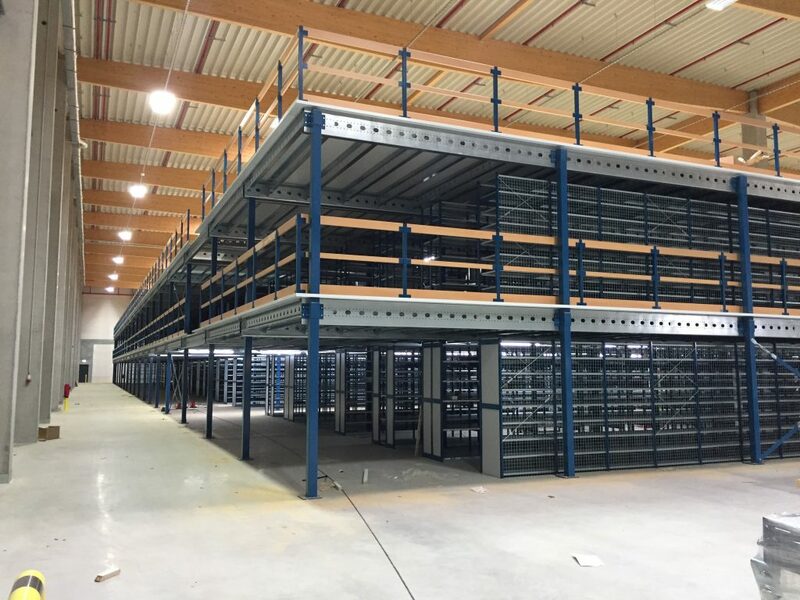 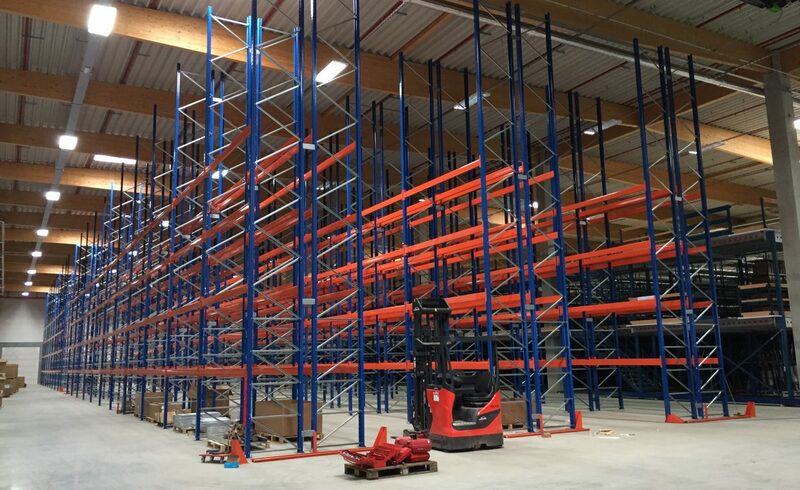 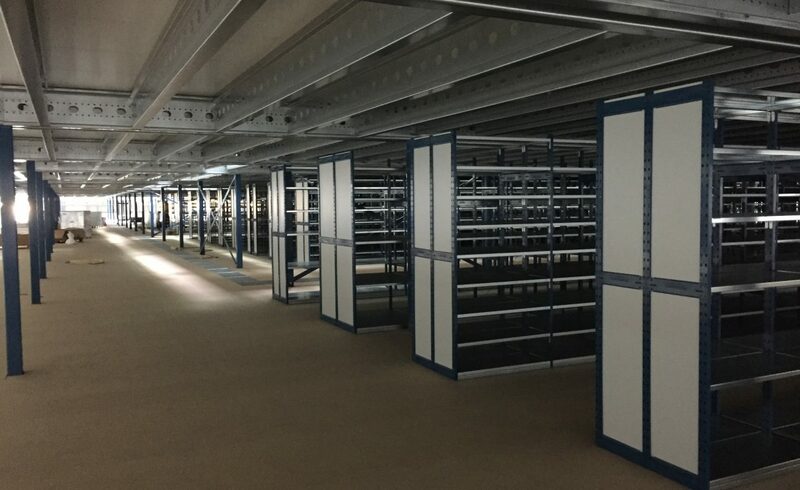 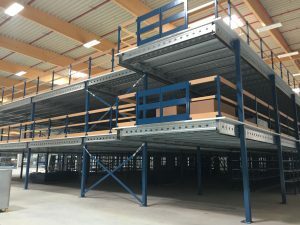 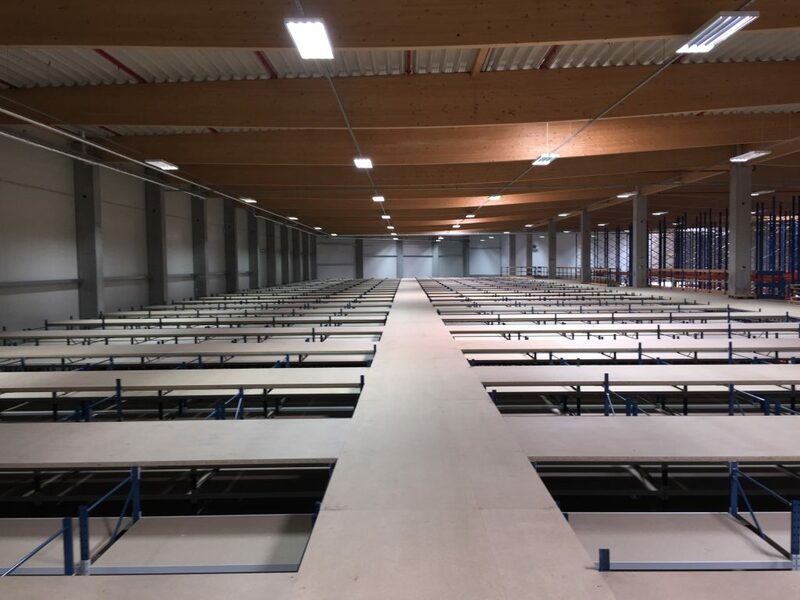 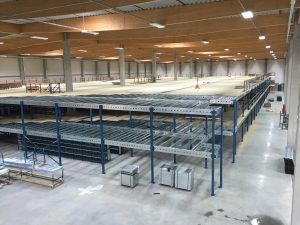 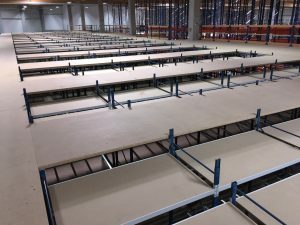 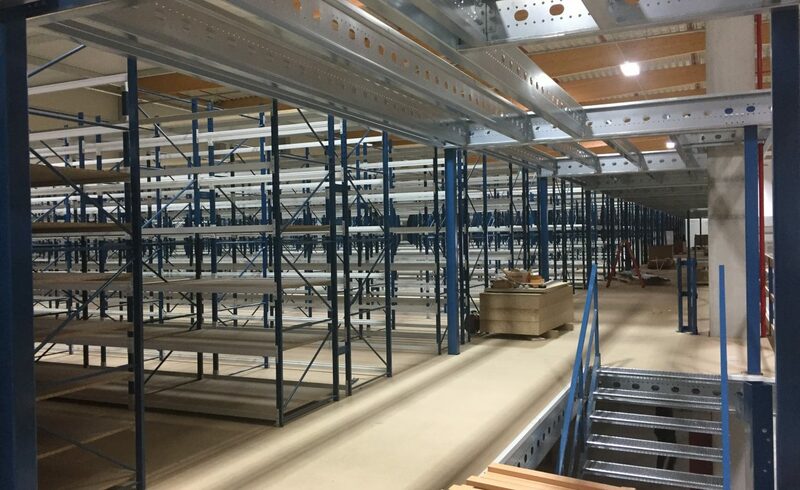 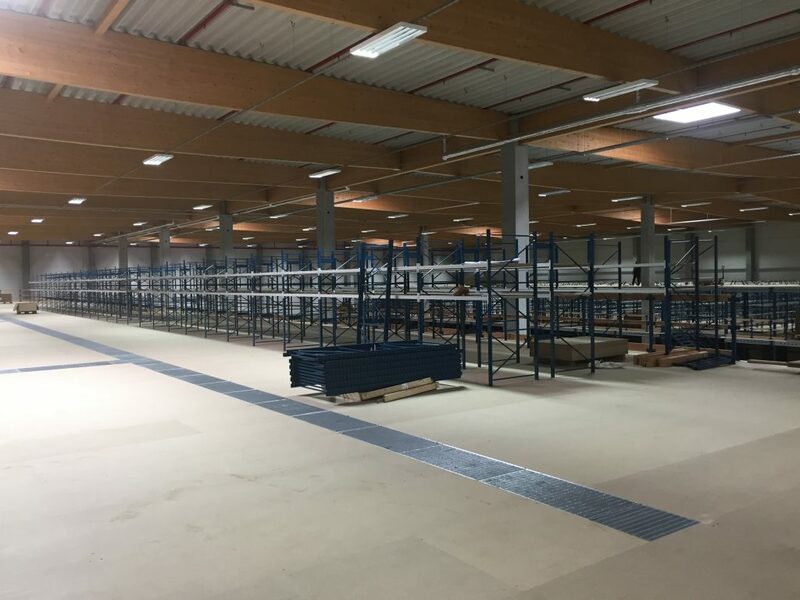 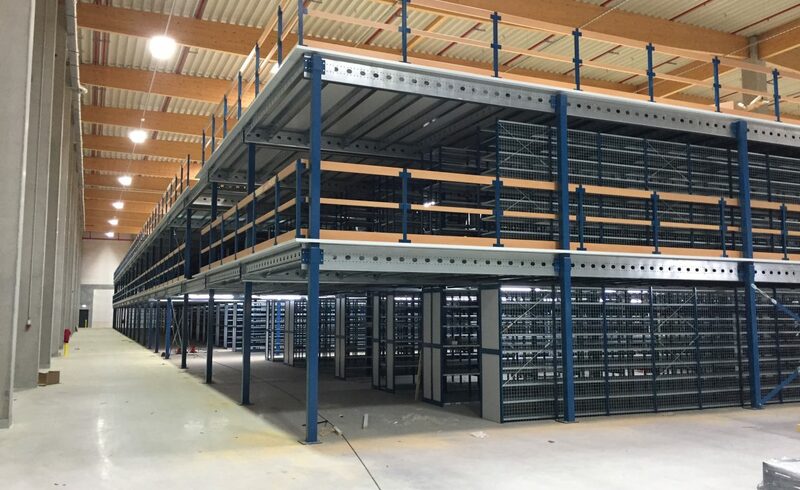 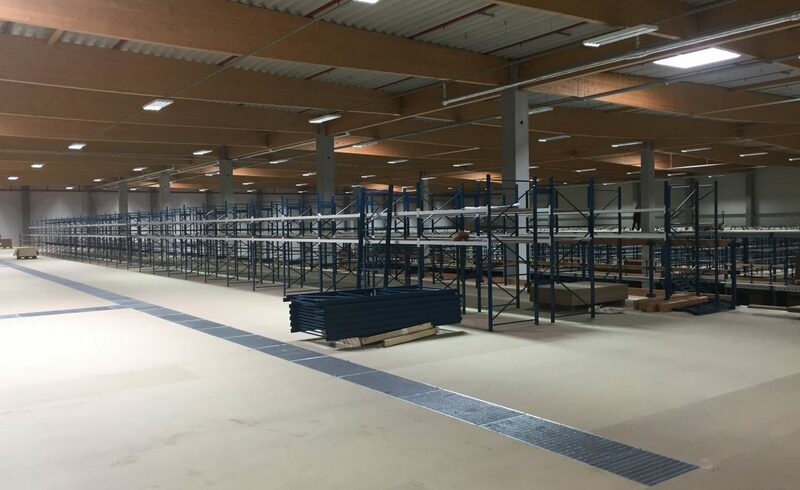 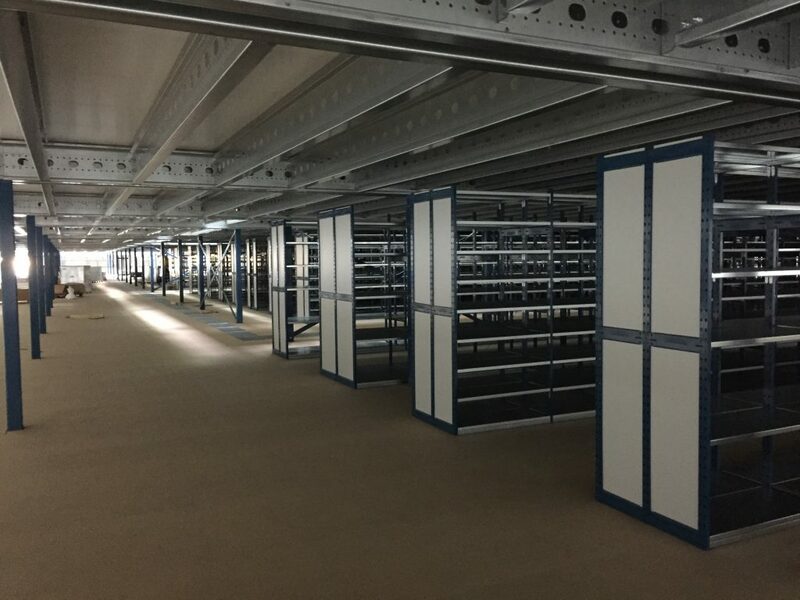 In this phase the first pallet racks, in which the heavier and larger qauntity materials can be stocked, will be installed in addition to the shelves.